All file formats are in one zip file for download. WinZip was used for file compression. You must have an embroidery machine to sew out these files. And you need the correct embroidery software to open, view and then transfer these designs onto your machine. This listing is for the machine files only - not a finished item. This is an INSTANT DOWNLOAD which you will be able to download as soon as you make the payment. You MAY NOT copy, resell, or give away my digitized designs. 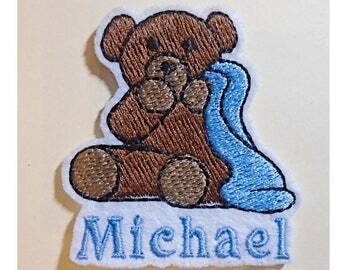 But you can embroider out and sell the finished embroidery products. If you have any problems with the downloads or designs please contact me. The designs do work but sometimes the downloads don't always work correctly. I can also email you the designs as attachments if send a message requesting it. IMPORTANT: No returns or refunds are allowed on purchased digital embroidery design downloads. All sales are final on downloads. 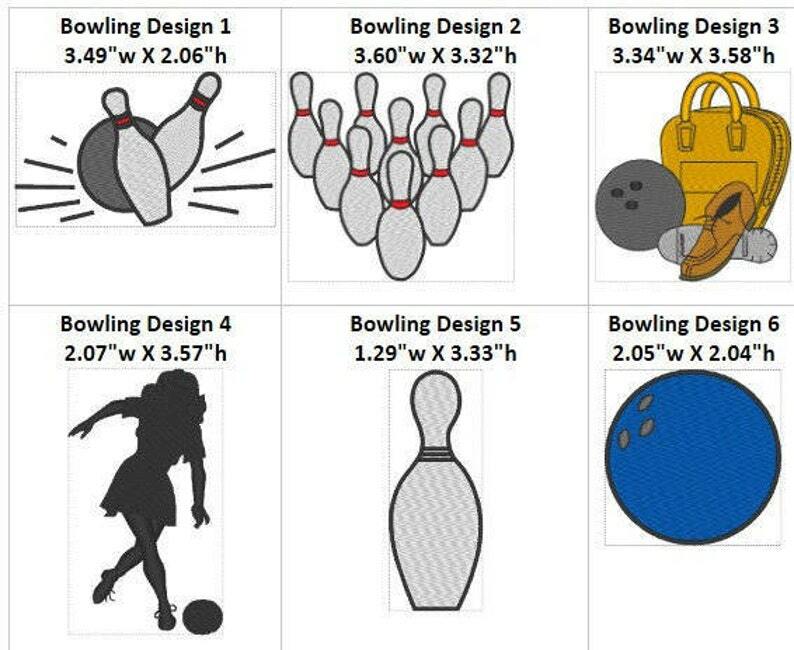 Bought the bowling images set. I embroidered this on a hand towel for our bowling team, adding the digits over the pins and the name. Making more now! Great pattern; would buy from Angie again. Perfect in every way, thank you so much!! I LOVE what I ordered! I can’t wait to put this patch in my wedding dress for my big day. Communication was great and I got my package very quickly!